Tracking your marketing KPIs is essential to creating successful marketing campaigns, but some of the most valuable KPIs often get overlooked. You're probably already tracking page views, conversion rates, and other obvious metrics -- but those KPIs only scratch the surface. For deep insight into your marketing performance and how your buyer persona is responding to your marketing, you need to have several additional metrics on your radar. Increasing web traffic isn't that difficult, so it's a fun KPI to measure. However, in this article I'm going to focus on KPIs that challenge your marketing and force it to prove its effectiveness. Let's get started. Customer lifetime value (CLV and sometimes called LTV) is possibly the most underrated KPI that you should be tracking as a B2B organization. Marketing today is all about building relationships. Companies and consumers (as well as B2B customers) alike aren't looking for one-off purchases. Consumers want to find businesses that they can rely on and continue to make purchases from in the future. At the same time, businesses want customers that consistently make repeat purchases. This makes growth more predictable and allows businesses to invest more money back into improving those products and services as well. One of the best things about tracking CLV is that it does provide a snapshot into the future, since you're looking at how much profit an average customer generates over a long period of time. This information is incredibly valuable for your marketing team. Knowing how much a new customer is worth helps your business determine how much to spend on marketing. You can look at the cost of a marketing campaign and determine how many lifetime customers it would take to see a positive ROI. Then you can look at your past success with a similar campaign or the success that other businesses in your industry have had with a similar campaign and you have a good estimate of whether it's worth it or not. CLV tells you more than just how much you should spend to acquire new customers (we'll talk about that next), it also tells you how much you can spend to retain customers. It's often said that it's exponentially more expensive to acquire new customers than it is to keep the ones you have, but that all depends on your CLV and how much you're spending for each goal. Knowing your CLV helps you figure out exactly how much you can spend on customer loyalty programs and helps you craft your retention strategies. The length of time that a customer does business with your company is the multiplier that has the biggest impact on CLV, so customer retention is extremely valuable. Every business needs to know their CLV and should be working to increase that value every year. Your customer acquisition cost (CAC) is the average marketing cost of each new customer that you acquire. This is a key metric that you should be tracking to fully understand your marketing ROI. However, a lot of businesses neglect this KPI in the early stages, usually because their CAC is high and they'd rather not see it. CAC shows you how effective your marketing is and there's no excuse for not tracking it. 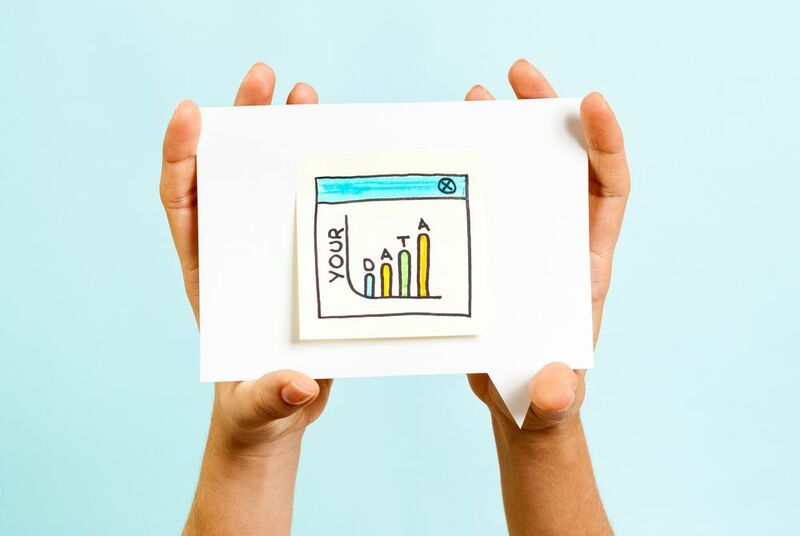 While measuring your overall CAC is helpful, you really want to measure the CAC of each marketing channel and each individual campaign. Your money is best spent on marketing campaigns that have a CAC significantly lower than your CLV. Once you identify the channels or tactics with the lowest CAC, you obviously want to pump more money into them. These areas of strength in your marketing help pay for improvement in weaker areas and give you more room in your budget for customer retention. One of the great things about Inbound Marketing is the tendency for CAC to decrease over time. Most traditional advertising methods have a high CAC that might fluctuate up or down with each campaign. You might think this is strictly a sales KPI and not marketing, but it's actually both. Marketing and sales often overlap and the initial hand-off between the two teams is definitely an area where there is overlap. It could be argued that all aspects of business are about sales. Everyone in your organization that interacts with a prospect is selling the image and experience of your brand. Ultimately, these things play a role in whether a person decides to make a purchase from your company or not and whether a current customer stays with you or not. On the other hand, you could make the same argument for marketing. Every interaction between prospects and your company before the sale plays a role in your brand's marketing. If your sales reps are slow to respond to inquiries, your brand could develop a reputation for being lazy or having poor customer service. These are issues that the marketing team will have to overcome when managing your company's brand. Excelling in this department isn't difficult because industry standards are pretty bad -- especially in B2B. Prospects do their research before contacting your business, so by the time they do get in touch they are ready to buy. According to The Digital Evolution in B2B Marketing, “B2B customers reported to being nearly 60% through the sales process before engaging a sales rep, regardless of price point." If that's not enough to convince you of the value for this KPI, consider that research from InsideSales.com shows that 35 to 50% of sales go to the vendor that responds first. The best advertising is word-of-mouth advertising and in the digital marketing world, inbound links are the equivalent to word-of-mouth. Inbound links are very important for SEO, but they get overlooked outside of that capacity. Inbound links also indicate marketing performance, because it shows you who is referring people to your brand and how many referrals you're getting -- indicating brand awareness and authority, which are important factors for Inbound Marketing. If you're creating great content that is worth linking to, you'll see a natural increase in links to your website over time. However, you can take the process into your own hands by contributing to major websites that provide a high-quality link back to your website in return for your guest content. Aside from improving SEO and tracking brand awareness, you should monitor inbound links to find out where people are having conversations relevant to your brand and joining in. You might find that someone linked to your product in a Reddit thread -- this presents an opportunity to introduce yourself and offer to answer any questions. If you don't see an increase in inbound links from year to year with Inbound Marketing, this is cause for concern because it shows that your brand isn't highly relevant to people and your message isn't being spread. You want to see this number climb steadily over time. Inbound Marketing is very powerful for generating leads, but the leads you really want are marketing qualified leads (MQLs). The caveat here is that the more authority and reach you attain through Inbound Marketing, the lower your ratio of MQLs is because so many people are only interested in your great content. This is a good problem to have! However, it is a problem that deserves your attention. Having too many unqualified leads wastes your resources and does little to increase your bottom line. An abundance of leads can actually be more of a burden than a benefit if they aren't good leads. You may need to revisit the fundamentals and make sure that you are properly targeting your buyer persona with your content. When you only measure web traffic, it causes you to create content that's more focused on total traffic than qualified traffic. To ensure that you're getting a higher ratio of MQLs, you need to create content exclusively for your buyer persona, even if it gets less total traffic. A good strategy is to do both. Try creating gated content that only your buyer persona will benefit from and see how it affects your ratio. You might see less total leads by doing this, but sometimes less is more.